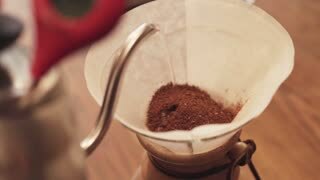 Search Results for "coffee brewing"
The process of mixing freshly roasted coffee beans. 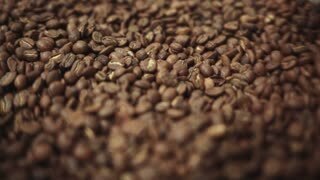 The process of cooling freshly roasted coffee beans. No people around. Inside shooting. 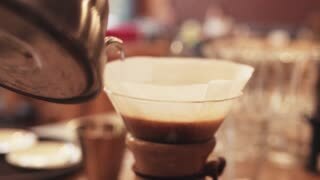 Coffee brewing traditions. Traditional coffee. 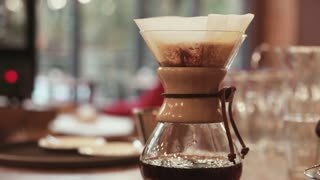 Siphon Or Syphon Coffee Brewing. Closeup. 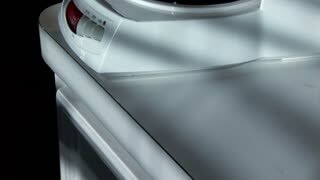 Close up view of brewing coffee in an alternative coffee maker. 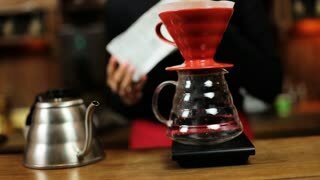 Making syphon coffee, syphon coffee is a new way to brew third generation Americano. Amazing close up, cafe settings. No people around. 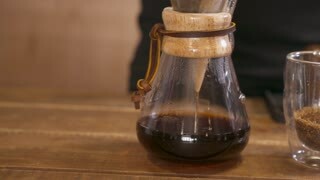 Amazing close up of alternative brewing of strong coffee. 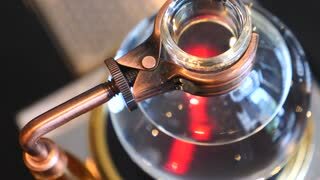 Making syphon coffee, syphon coffee is a new way to brew third generation Americano. Amazing close up, cafe settings. 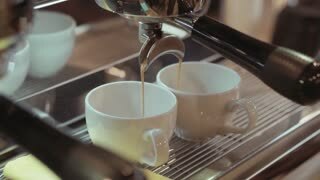 Close up view of pouring hot brewed coffee, visitor of the cafe on the background. Inside shooting. Coffee traditions. Aromatic atmosphere. Coffee time. 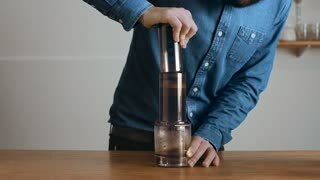 Close up of a barista making hand brewed coffee. 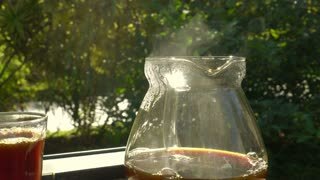 Adding grinded coffee and pouring hot water. Baristas portrait. Inside shooting. Cafe atmosphere. Cafe activities. Restaurant activities. 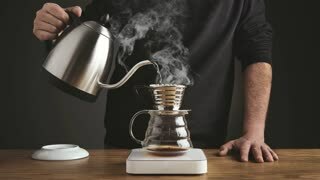 Barista making coffee using chemex coffeemaker. 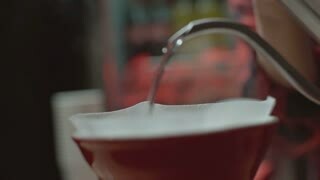 Man pours water from a teapot, brewing the coffee in the morning. 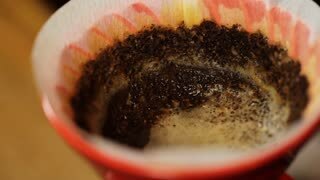 The vacuum method of brewing coffee is demonstrated by the Coffee Brewing Institute in 1961. Coffee shop. 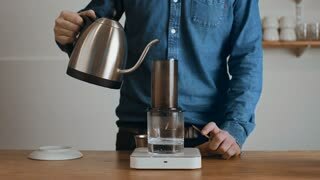 Modern coffee brewing. 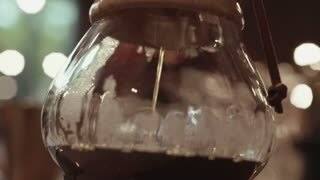 Drops of coffee in slow motion. 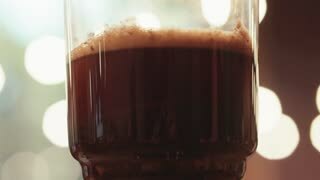 Close-up of espresso pouring from coffee machine. Professional coffee brewing. Making a caffe latte coffee. 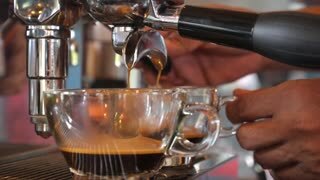 Barista makes espresso in cafe. Barista press coffee with tamper in portafilter. Brewing coffee equipment. Barista brew espresso drink in cafe. Coffee making in coffeehouse. Close-up. Slow motion. Barista makes espresso in cafe. Barista press coffee with tamper in portafilter. 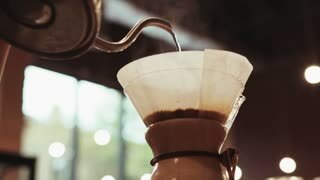 Brewing coffee equipment. Barista brew espresso drink in cafe. Coffee making in coffeehouse. Coffee brewing process almost finished, the last drops dripping and steam escaping from coffee machine in the kitchen, hand takes the cup.